Pets are wonderful companions and additions to your family. However, man’s best friend can also be a rug’s worst enemy, especially when they do not have ready access to a yard, litter tray or during the colder months of the year. 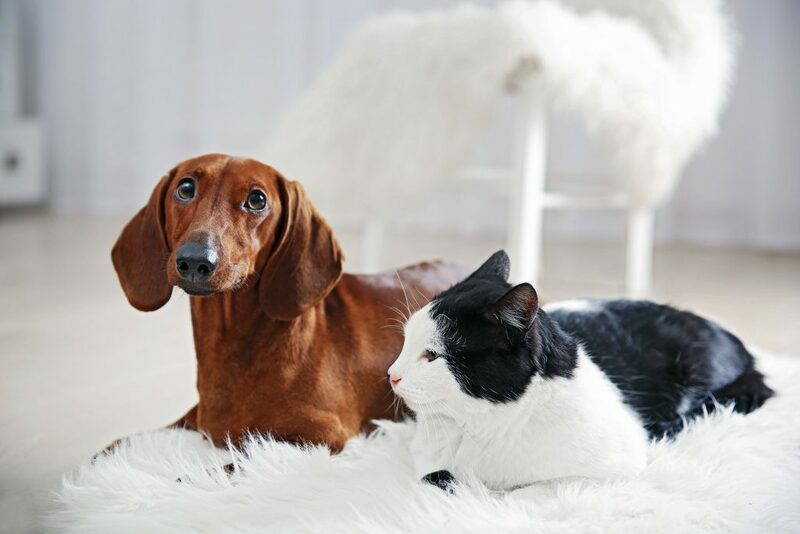 Join the experts at Woods Rug Laundry as we discuss the stinky issue of pets and rugs. Everyone who owns a pet knows that accidents do happen. When house- or litter-training a new puppy or kitten, these accidents can happen frequently. While your home cleaning products might neutralise the smell, some off-the-shelf products can make the problem worse. This is because store-bought products are chemical or detergent based. They can remove the soluble urea and the urine itself, but not the uric acid or uric salt crystals that cause damage to your rugs. In fact, many of these off-the-shelf products coat or encapsulate the uric acid crystals which not only allows the urine to continue to damage the rug, but also prevents professional cleaners from breaking down these crystals. Further, these products can have unexpected reactions with your rugs as the dyes used in the rug fibres can vary from plant and vegetable bases to chemical bases. As a result, your rug becomes untreatable, permanently damaged and must be entirely replaced. When a pet urinates on a rug, the urine spreads, breaking down the natural surface tension of the rug fibres. The more the pet uses that spot, the more damaged it becomes and further the urine spreads through the rug. Uric salts in turn attract moisture, which grows bacteria. Bacteria thrives in the moist environment and produces what is known as “off-gas”. This is the unpleasant odour you smell when a pet has an accident. As the weather warms up the bacteria becomes more active and the smell may return or become stronger. The smell will not go away until the bacteria are killed and the salts dissolved. The affected area is also, often, larger than the visible stain. As such, urine stains are difficult to treat, especially older stains. Old, visible urine stains are almost impossible to remove. In the case of wool fibre – and similar – rugs, urine can actually burn the rug. The resulting stain is not actually a stain but permanent discolouration of the rug that cannot be repaired. Even professional treatments will only be able to remove the urine and smell, but the discolouration will remain. In the case of fresh urine stains it is best to act fast. Blot the area with paper towel. Continue blotting with fresh towel until you are no longer drawing urine from the fibres. It is important to immediately book your rug for a clean to give it the best possible chance at treatment – but remember that some fibres might be irreversibly damaged already from urine burn. At the end of the day, prevention is better than attempting to clean a stain. If you have a wool fibre rug or similar, try to keep it in a room away from the pet. If it is not possible to keep your pet away from the rug, try to source the reason for the pet urinating inside. Try to assess if your pet is reacting out of stress or fear and remove that factor from their day to day life. Finally, older animals are prone to accidents due to decreased moveability and bladder control. Talk to your vet about the best way to accommodate an aging pet. In the case of cats, ensure the litter tray is cleaned regularly and placed in a private place – cats will not use a tray if it is in too public a place. If the litter tray is in a private place and still not being used, try changing your brand of litter. Dogs and puppies should have regular access to a yard or walks. If you walk your dog but still encounter accidents, try changing your walking schedule. Stress and fear can cause pets to urinate indoors. 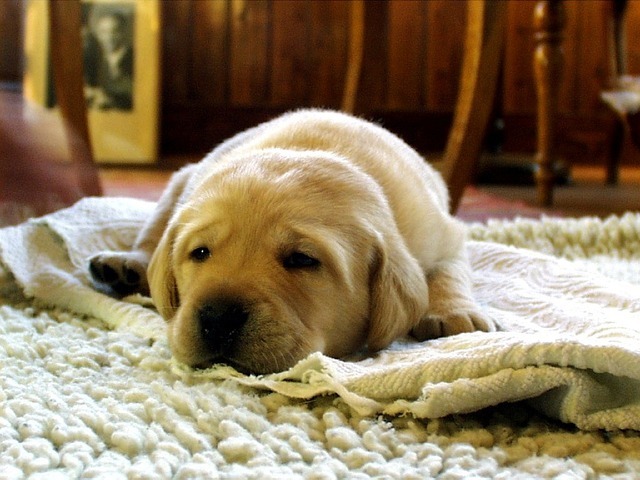 Wood’s Rug Laundry uses a water-based cleaning agent that is environmentally friendly and safe for humans and pets. Our expert team will assess the best way to treat your rug. Contact us today if you have a urine-stained rug.